Some view East Germany (GDR/DDR) with great fondness, if it’s a comparison made between today with the “good old days.” I’m not interested in the “Ostalgie” (nostalgia for the former east). I’m interested in learning how a system in place does a gradual creep, takes over a country and her people. Before they realize what’s happening, their own government has locked them inside the borders to prevent them from leaving; get caught trying to escape near the border, and you’ll be shot for your trouble. Privately, Ulbricht had already been pushing hard to build a wall to stop the increasing number of people leaving East Germany for the West. Building a wall would also strengthen the (buffer) position of East Germany within the developing Soviet satellite-empire. Two months later at midnight on August 13, work began quietly on a wall, and orders were given for additional troops to guard and “protect” the border. Berliners awoke at daybreak to a divided city. 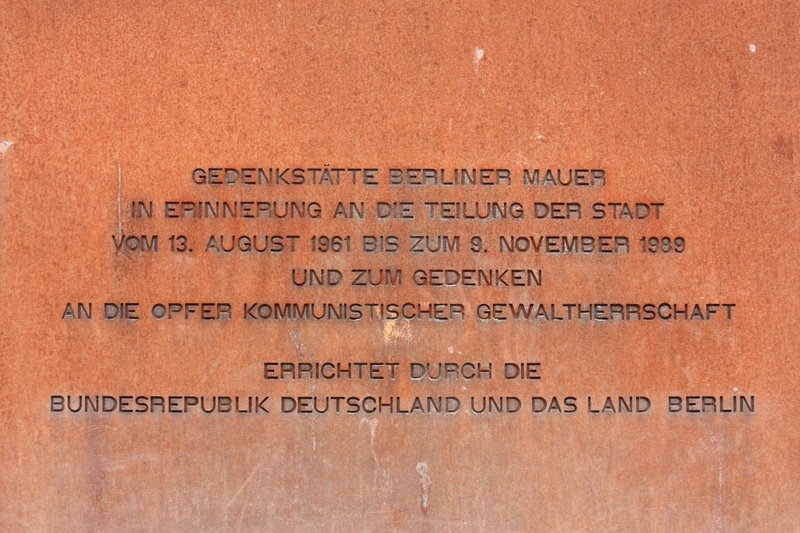 The East German government justified and labeled the wall as an “anti-fascist protection wall” to protect its people from the Western influences of capitalism and attacks on socialism. In reality, the East Germans knew millions had already departed for the West by 1961, and were desperate to keep their people “walled in“. 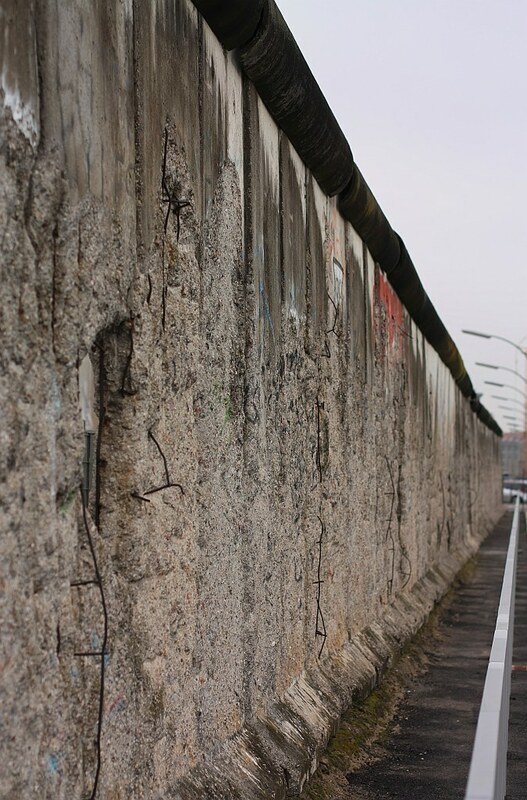 For an East Berliner, it was almost impossible to approach the wall, and it was illegal to photograph the wall. Those who tried to escape were considered “traitors”, and border patrols were ordered to shoot anyone trying to escape. The official number of dead trying to cross the Berlin Wall is listed as 136, though the true count may be higher. The total number of dead trying to cross the inner German border separating West and East Germany is listed at over 600. In late-1989, the number of protests increased throughout East Germany, as the wave of political changes swept throughout countries behind the Iron Curtain. A hasty but important decision was made to open the East Berlin border, allowing the free movement of East German citizens into the West. 28 years after its initial construction, The Wall fell on 9 November 1989. With the fall of the Wall in 1989, large portions of the Wall were demolished in a rush to destroy visible reminders, save for a number of notable exceptions throughout the city. 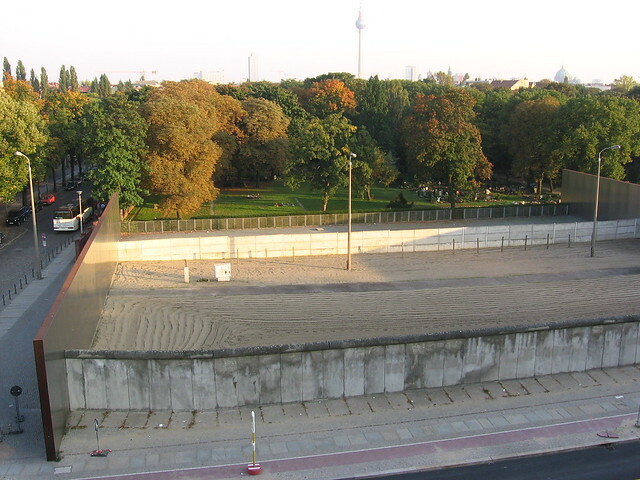 Few wall remnants or fragments remain; the most visible include the East Side Gallery, the long segment on Niederkirchner Strasse, and the Memorial and Documentation Centre at Bernauer Strasse. 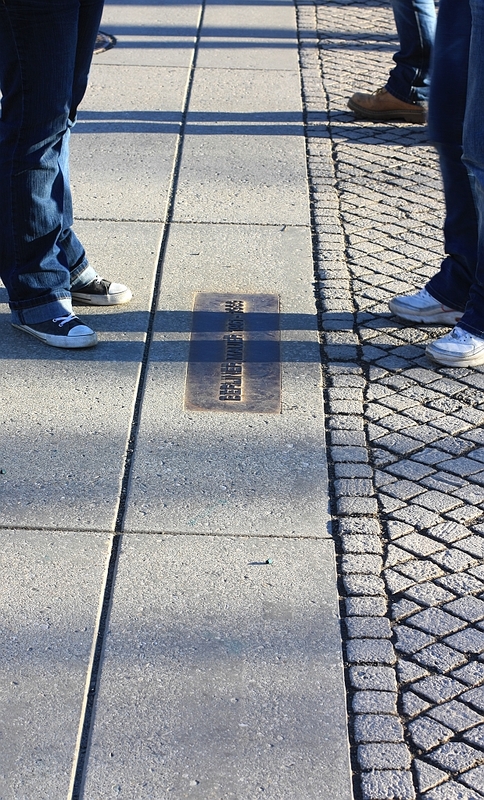 In many places, cobblestones on the pavement provide visible traces and reminders about the former route of the Wall. Standing in the presence of the Wall, you can’t help but reach out and touch the wall. You close your eyes and try to feel what it would’ve been like to live caged behind a wall. It’s unimaginable to think that oppression, injustice, and the lack of humanity the system placed on its people were expected occurrences every day. Other adjectives apply: autocratic, tyrannical, repressive, undemocratic, totalitarian. Dissent was simply not tolerated in the police state. Subsequent measures included surveillance, intimidation, prison terms, torture, and sometimes, death. Reunification of West and East Germany occurred on 3 October 1990, but serious problems (e.g., unemployment, economic disparity) still linger. Some who once lived in the DDR have expressed a certain “Ostalgie” (East nostaglia) and have said they miss the simplicity of their lives: a home, a job, certainty. One must ask themselves even now: is that enough? Who were the people who tried to escape? What were the circumstances which finally compelled people to act? Who were the people who died trying to escape? What are the human and economic consequences of separation and subsequent reunification? There are many stories still to be told, to be heard, and to be understood. 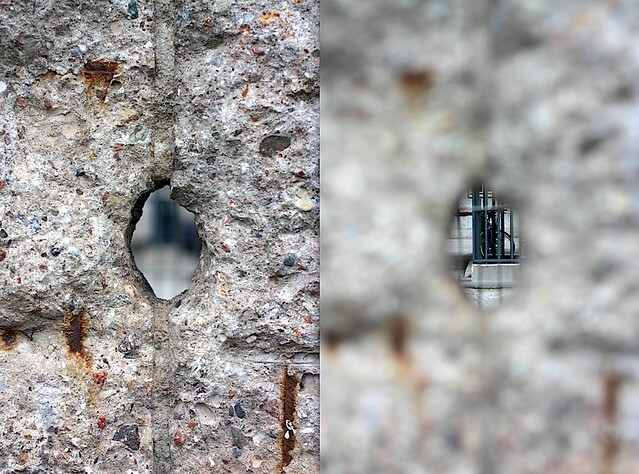 • Visual deconstruction of the Berlin Wall – New York Times 20091106. 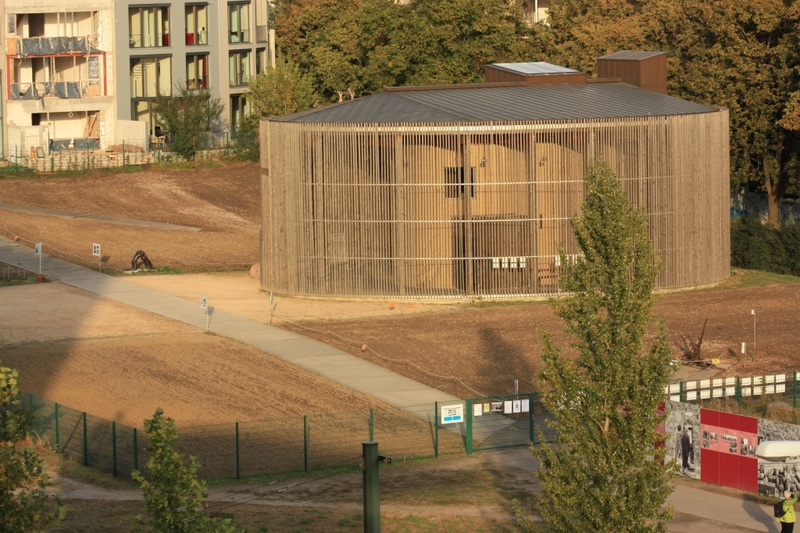 • A unique collection of panoramic photographs documenting the construction of the Wall from the East Berlin side has come to light and is being presently exhibited in Berlin: Aus Anderer Sicht auf Deutsch | The Other View in English. • In 2009, I visited the northern Hanseatic town of Lübeck, about 40 minutes northeast by train from Hamburg. In the old town, I came across an exhibition for “Da war mal was” by the illustrator Flix. That translates roughly as “that’s how it was.” The exhibition later moved to the Wall Memorial on Bernauer Strasse in Berlin. I made the photos above on multiple visits between 2005 and 2012. This post appears on fotoeins DOT com as http://wp.me/p1BIdT-hF.